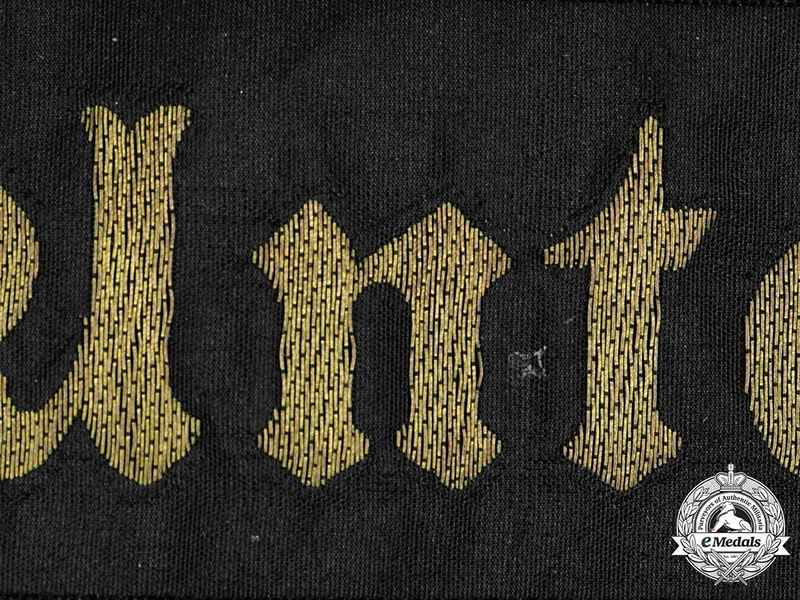 (Mützenband). 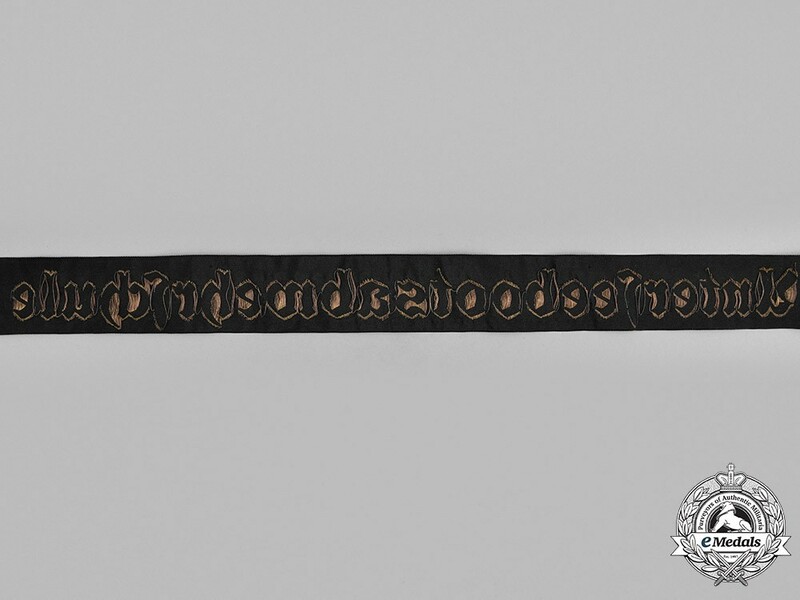 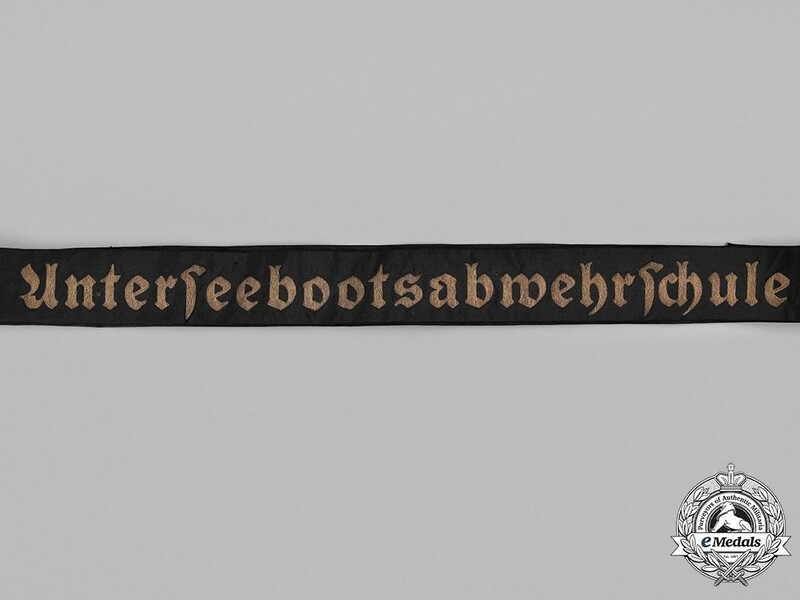 Constructed of black ribbon, bearing a yellow machine-embroidered inscription of UNTERSEEBOOTSABWEHRSCHULE in Gothic script, unmarked, measuring 3.2 cm (w) x 148 cm (l), in very fine condition. Footnote: Unterseebootsabwehrschule despite being named as an anti-submarine warfare school was actually an establishment for secretly training new U-boat crews before Germany began openly re-arming.